Throttle speed limiters control how fast the vehicle can go. Use a mini screwdriver to adjust the top speed of a throttle. Top speed can be adjusted from 0-100% and anywhere in between. 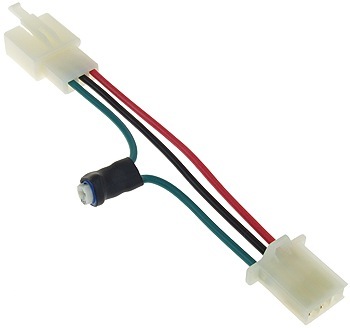 Easy to install - simply plug this speed limiter in between the throttle and controller. 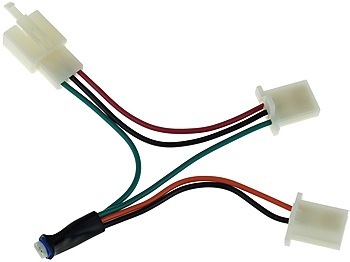 The throttle's signal wire which is commonly green or white needs to go through the green wire of the limiter. Use a small screwdriver to adjust the top speed of a throttle. Top speed can be adjusted from 0-100% and anywhere in between. 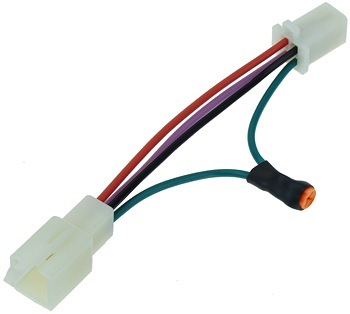 The connector with orange and black wires can go to a high/low speed selector switch to select between full speed and adjustable low speed. This is an optional connection and the adjuster will work without a switch connected to it. 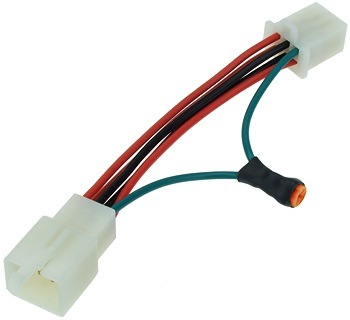 Easy to install - simply plug this speed limiter in between the throttle and controller. The throttle's signal wire which is commonly green or white needs to go through the green wire of the limiter. Use a mini screwdriver to adjust the top speed of a throttle. Top speed can be adjusted from 0-100% and anywhere in between. Easy to install. Simply plug this speed limiter in between the throttle and controller and it is ready to use.